Following the presentation of the paper ‘Mapping of work areas in a platform supply vessel: a case study’ at the RINA conference Human factors in ship design and operation on the 17th of November 2011, the UBC project was featured in the acknowledged publication Ship & Boat International. The paper presented at the RINA conference describes how the UBC project has used images to speed up the design team’s familiarisation with the wheelhouse and bridge equipment. An extensive image database consisting of 1300 images captured during a field study onboard Bourbon Mistral has proved valuable for quickly getting new designers with no experience from the maritime domain up to speed on what a ship’s bridge is, and what kind of equipment it comprises. 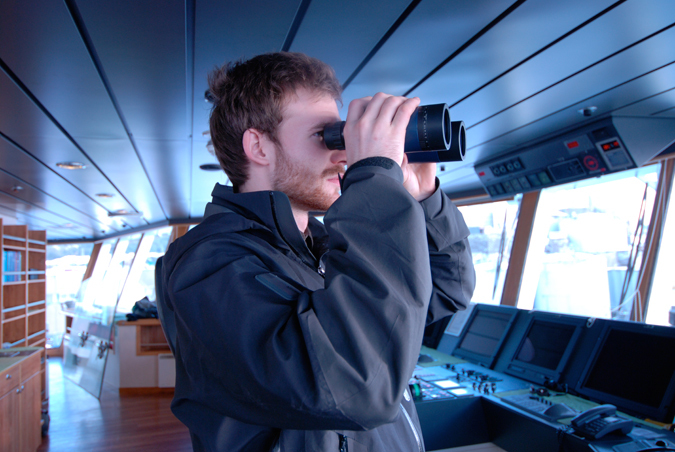 Anders Kittilsen testing out the binoculars on-board the Bourbon Mistral. Christoffer Lange and one of the crew members. Nordby, K., Lange, C., Komandur, S. & Kittilsen, A. 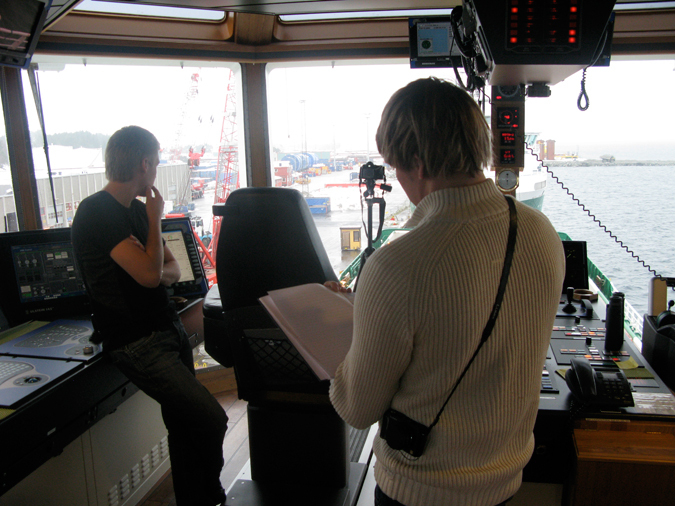 ‘Mapping of work areas in a platform supply vessel: a case study’. Ship & Boat International is a RINA publication which gives a detailed coverage of small craft and small ship design, construction and operation. The publication also provides news items together with specialised features and technical descriptions of selected new vessels, including fast ferries, tugs, offshore support vessels, patrol craft, pilot launches, and coastal cargo ships.